A version of this story also aired on the Texas Standard, a statewide reporting collaboration led by KUT in Austin. CANDELARIA, Texas — The United States and Mexico are pouring money into a showcase experiment to rescue damaged economies on the Texas-Mexico border. But that experiment only involves two towns, Boquillas in Mexico and the community of visitors and National Park Service personnel at Big Bend National Park, a epic mosaic of desert, rock and sky that already draws hundreds of thousands of adventure travelers every year. There are dozens of other towns along this section of the border, forgotten, struggling, where residents claim they’re forced in some cases to break the law to survive. To put reality that in context, one need only look back to April 2015. Then, citizens of two countries witnessed a choreographed but symbolic event on the Rio Grande. U.S. Secretary of the Interior Sally Jewell had crossed the river in a rowboat, with Mexico’s Secretary of the Environment, from Big Bend National Park to Boquillas. 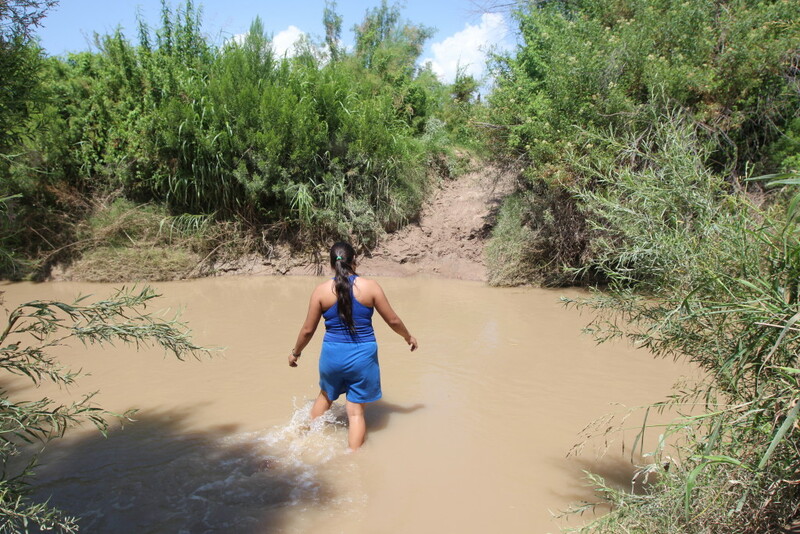 “It’s not the same as crossing into Tijuana or Juárez,” she said after sprinting up the banks of the river. Mexican villagers, U.S. Park Rangers, Mexican Army personnel and U.S. Border Patrol agents mingled to celebrate the second anniversary of the opening of the legal, staffed pedestrian border crossing here, the first of its kind to operate since the terror attacks of Sept. 11, 2001. 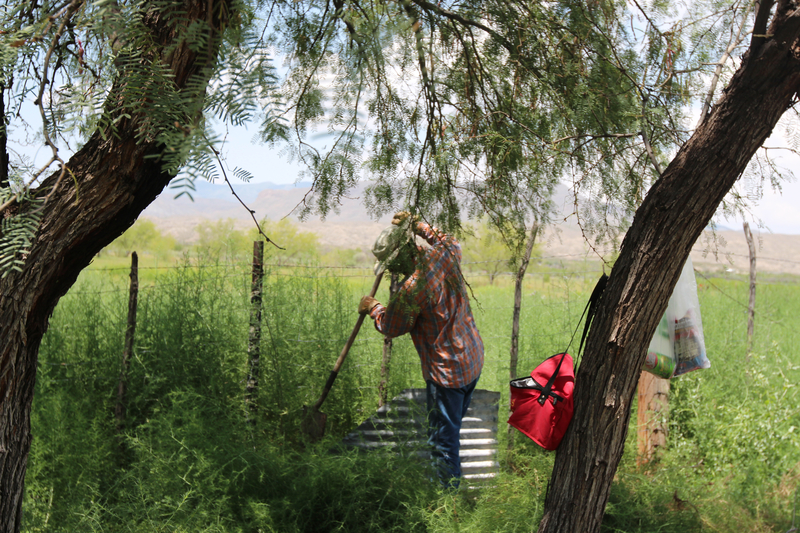 The economy’s on this part of the Rio Grande, known the Rio Bravo del Norte in Mexico, been given at least a shot at recovering from the trauma of a sealed, post-9/11 border. “This is a positive story about a border, a border that doesn’t have a fence, a border that has a river that takes people back and forth,” said Secretary Jewell. Mattie Matthaei is a border historian at Sul Ross University in Alpine, Texas. She said she is pleased that Boquillas is now in the public eye unlike other towns in this part of the river. There hasn’t been a school in Candelaria for 15 years. Residents who attend school, many of whom are dual citizens, must travel one hour by bus to the nearest school in Texas. One example is set 160 miles northwest of Boquillas in two other towns, both remote within their own countries, yet steps away from each other on the river — Candelaria, Texas, and San Antonio del Bravo, Chihuahua. U.S. citizens in Candelaria like Juan Torrez said he envies the political capital that Washington and Mexico City are spending downstream in opening the border at Boquillas. Here, he freely admitted to a more tenuous reality. He said he frequently crosses back and forth to see family nearby in Mexico. So to be clear, Torrez’ presence in the U.S. is legal. But going back and forth across the border here is not. “We’re not hurting anyone, we’re no threat,” Torrez said. Unauthorized crossings are also triggered by the lack of nearby health clinics or a hospital on the Texas side. Evelyn Lozano, a resident of Candelaria, noted that Mexican side has a free health clinic, paid for by the Mexican government and private money from the U.S. And it’s a few minutes walk from the river for U.S. citizens. “They’re forced to cross the border go to Mexico to the clinic to take their children to the clinic,” she said. That delicate dance between otherwise law-abiding U.S. citizens and U.S. border policy is a staple of life along the Rio Grande. But Lozano concedes so is drug trafficking and human smuggling. “They take immigrants to Candelaria and try to cross them over from other places like El Salvador or Guatemala. But that’s something that we don’t get involved in. So we don’t actually pay attention to them,” said Lozano. The U.S. Border Patrol has a station here. Its agents are in a tough situation. They can’t say it publicly, but their priority here is not harassing locals, but confronting Mexican organized crime. Lozano confirms that. “They’re not here following people or anything like that. They’re just here to do their work,” Lozano said. And their work is facing ongoing threats from Mexican criminals, said Carry Huffman, deputy chief of the Border Patrol’s El Paso Sector. He said San Antonio del Bravo is sometimes used as a criminal hub. “It’s kind of a jumping off point to move dope around. It’s a rough border town. I don’t if it’s fully engulfed as a narco-town. But there’s certainly a flavor of that in the community that keeps people on edge and concerned. Because it can be very dangerous there,” he said. The matriarch of a U.S. family with relatives in San Antonio del Bravo agrees. She said there is human smuggling taking place but that activity is intermittent rather than steady. “They can have the Border Patrol here,” said Rosa Baeza. “But they can also have a bridge so we can cross,” she said by the riverbank, saying that residents will tip off US authorities if something is amiss. A footbridge built by residents of both towns was taken down by the US in 2008. Though far removed from the crucibles of organized crime in cities such as Tijuana, Juarez or Laredo, the same border policy applies here, meaning there is no gray area when it comes to entering the United States legally. It can’t be done here. There’s no happy ending in sight for forgotten border towns. Neither Mexico nor the U.S. has signaled an intent to do here what’s being done in Boquillas: create a crossing that would allow citizens legal passage between their two shared communities. This entry was posted in fronteras desk, fronteras npr stations and tagged boquillas, border security, candelaria, chihuahua, human smuggling, organized crime, texas-mexico border, us mexico border. Bookmark the permalink.